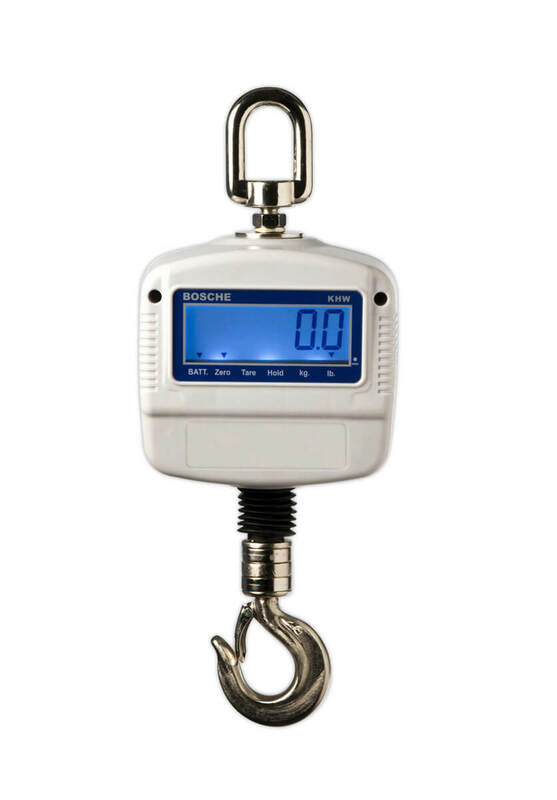 Product information "Hanging scale KHW"
Weighing and general force measurement up to 600 kg. 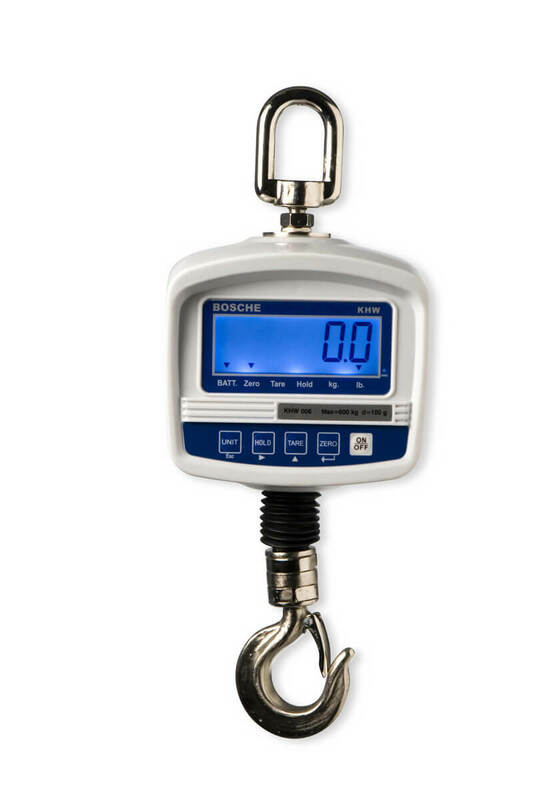 The small, compact hanging scales KHW are ideal for a wide range of weighing applications in the areas of dispatch, warehouse storage or in the workshop. The scales combine reliability, ease of use and precision with low acquisition costs. Hang and weigh - it doesn't get much easier! The weight is displayed on a back-lit LCD display on both sides of the scales. The scale are very compact, robust and easy to operate. The weight is determined by a load cell with very high accuracy and high reliability. The scales work independently of the power supply; the rechargeable battery guarantees up to 35 hours of network-free operation. This makes the use of the scales extremely simple, and possible in any location. 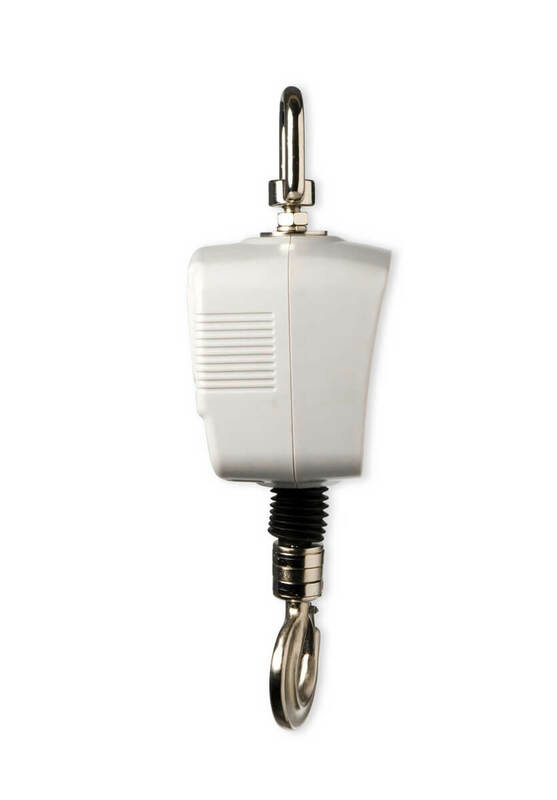 A radio remote control, which permits operation from a distance of up to 20 m, is included as standard. Weighing of suspended loads. Weight monitoring in goods receipt, warehouse storage, production and dispatch. 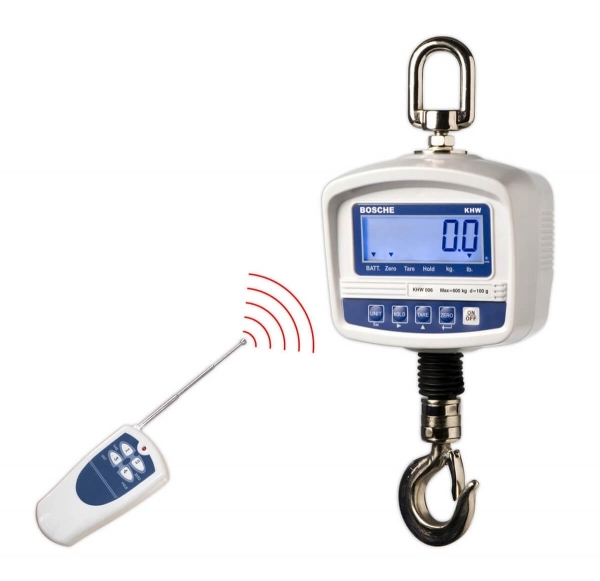 Hang the hanging scale - switch on - carry out weighing application. The hanging scales are powered by a rechargeable battery (charger included in the scope of delivery). Battery life: up to 40 h, charging time approx. 14 h via mains adapter. The battery level is indicated by an LED. Related links to "Hanging scale KHW"